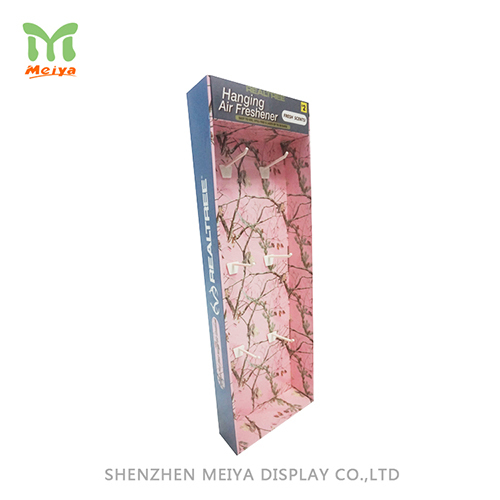 The hanged cardboard display stands are made from corrugated material so that they are 100% recycled and economical. They are designed with removable peghooks. It can save space with the hanged design.